With the never-ending competition in the marketing industry, it’s easy to assume that even new businesses know how search engine optimization works. But, that’s not what research shows. According to a study by Digimax, 5% of the small businesses they surveyed are not familiar with SEO. They revealed that only 8% of the respondents know the concept of SEO. Some of the respondents are familiar with SEO as one thing or another – from it simply being about adding content to the website or just using keywords. As search drives up to 300% web traffic than social media, your small business is missing a lot by not leveraging SEO. Everything Google has done in the past year has pointed to mobile search being the future. From the mobile-first index update to the Accelerated Mobile Pages, Google has been telling businesses to pay attention to where the bulk of their customers are: on mobile. SEO companies for small businesses optimize your site for mobile use, which means improving its loading time and making sure each element is scalable and usable for all types of devices. A sizable percentage of your target audience may be Millennials, who happen to trust nearly all advertising formats, from peer reviews to ads they see on TV. 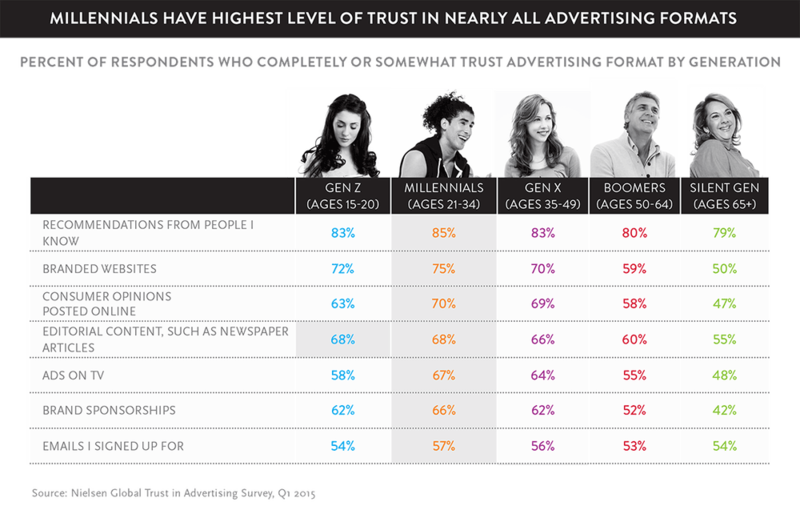 Gen X-ers and Baby Boomers are not far behind, with a trust rating of 66% and 60% for editorial content, respectively. Your website needs that trust from your target audience if you want them to read the content you produce, or to buy the product you offer. It’s important to know how to generate campaign strategies that build trust and help your audience be more familiar with your products. The key is promoting content in a subtle but is still able to catch the attention of your target audience and create brand recall. This requires a well-thought-out strategy that you and your SEO firm can work together on. Users have a hard time trusting sites that are hard sell, but they trust content that comes from other users just like them. User-generated content can come in the form of reviews, testimonials, recommendations, shares, and product demonstrations. You may also start trending a hashtag for an event or ad you’re launching to get more users involved. Feature unboxing and tutorial videos using your products, so users can see how others react to what you have to offer. Participate in the comments section or discussions as well, or encourage them to share their experiences using your product. As more customers talk and generate buzz around your product, you’re improving Google’s trust in you. It’s a mistake to think you can skip the help of online marketers and just focus on social media engagements to boost your small business. Email marketing remains to be the top driver of traffic to a website. Content Marketing Institute released an infographic showing that 93% of B2B marketers use email marketing for content promotion. This simply shows that many businesses understand the importance of reaching their audience through their email. Sending out an email to your list of subscribers takes merely half an hour of your time but results in a 68% success rate, as opposed to social media promotion, which takes about three hours of time investment for a 6% success rate. 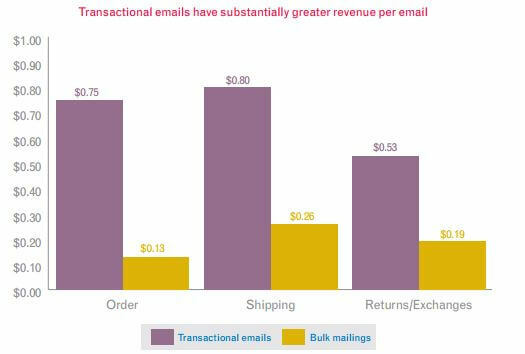 As Experian explains in their whitepaper, transactional emails are more likely to produce revenue. The success of your email marketing campaign, however, lies on how well you craft your email. You need an SEO company to help with the creation of content – from a catchy headline to a call-to-action with a good click-through rate. A small business worries about several things, especially the budget. With that in mind, it’s easy to think about marketing the business without getting help from the experts. These days, you need to be wise in where you invest your money. That means investing in SEO and trusting the experts to boost your online presence and improve your ROI.